Every day, nearly 12,000 Americans turn 18. Millennials are over 80 million strong and growing, and they’re the largest and most diverse generation in our country’s history. In California, voter registrations among those 24 and younger are up 87% and those 25-30 are up 133%. 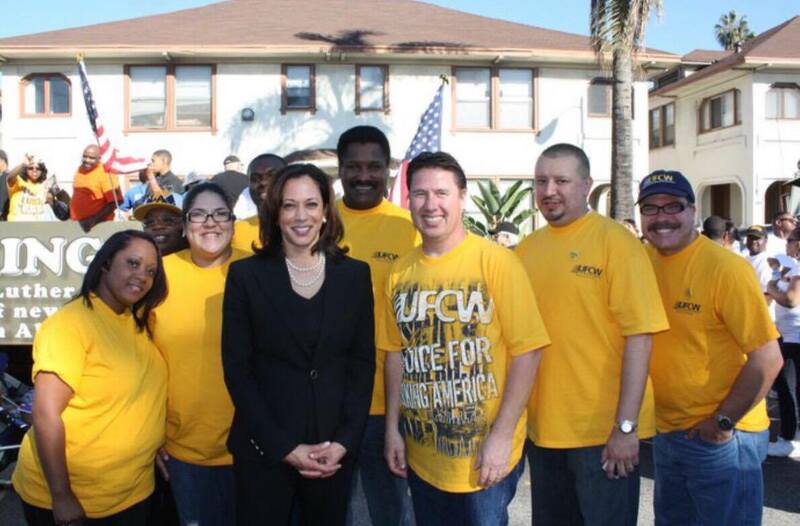 For the Presidential Primary Elections, UFCW coordinated voter registration efforts through member outreach, conducted phone banks and hit the streets precinct walking. UFCW members phone banked and walked for the candidates that will fight to rebuild the middle class and reduce inequality. We need elected officials who are committed to this fight. Public funds should be attached to good job creation, corporations should pay their fair share, and employers should be held accountable when they violate workers’ rights. It is up to us and union members across the state to ensure that the right people get elected in California so we can build on the wins like minimum wage, paid-sick days, paid family leave and other victories. Together, we can ensure that our voices are heard and that on Election Day, we shape our country’s history.